Rane?s proprietary non-contact magnetic faders. 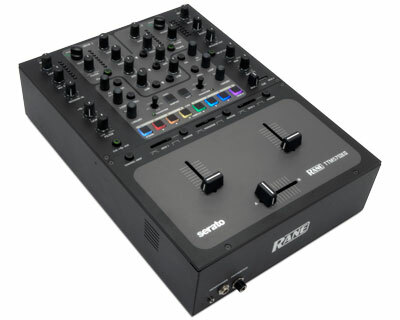 TTM57mkII Mixer for Serato DJ. The Rane TTM57mkII stays true to its original design by supporting a familiar workflow while improving performance and software integration. There are updated hardware controls including eight silicone RGB backlit pads for triggering up to 4 cue points per deck or the SP-6 sampler. Updated software controls include silicone RGB backlit pads for triggering four cue points per deck or the SP-6 sampler. Classic joystick controls toggle slip, instant doubles, internal mode, censor, and transform. Dedicated auto-loop & loop roll controls with back-lit buttons. Intuitive Serato DJ iZotope FX controls for easy & quick access.The mixer features Rane's exclusive dual USB port architecture for intuitive DJ change over and supports creative dual computer applications. The TTM57mkII is a classic reborn. The classic joystick controls will toggle slip, instant doubles, internal mode, censor, and transform functions. The updated TTM57mkII also features dedicated auto-loop and loop roll controls with backlit buttons that will have you shaping your mixes with incredible precision and inspiration. Both USB ports connect to computers running Serato DJ or most DJ and DAW audio programs, working with Native Core Audio support for Mac and an ASIO driver for Windows. Class-compliant audio and MIDI means no driver installation on a Mac, and a unified ASIO Rane driver is provided for Windows. Dual USB ports help DJs seamlessly change over between sets, even if they use different software. The TTM57mkII has so many improvements over the classic TTM57SL, it' truly a new ground-breaking mixer with a lot more creative power. Two Deck Bus Control Each bus selects USB Port A or B computer playback, a Phono / CD deck input, or an Aux line-level input. There' also a sweepable Low/High-pass effect filter and 3-band, full-cut tone controls. ASIO & Core Audio The TTM57mkII is a USB 2.0 class compliant MIDI and streaming audio device using native Core Audio in place of a driver for Mac OSX. Windows requires Rane' proprietary ASIO driver for Windows machines. 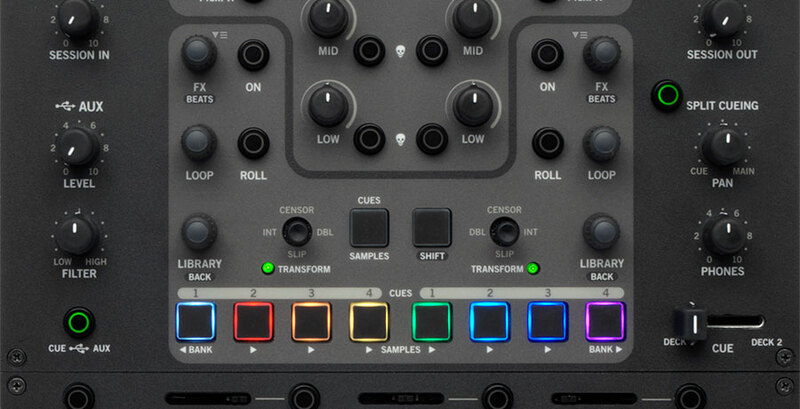 A control panel is available on both platforms to facilitate firmware update and setting mixer preferences. Serato Control Mix files from your computer hard drive using Serato Control Vinyl, Serato Control CD or approved USB Controllers. The Serato Control Vinyl and Control CDs each contain the Serato NoiseMap Control Tone, a unique control signal that allows Serato DJ to track the motion of the record.